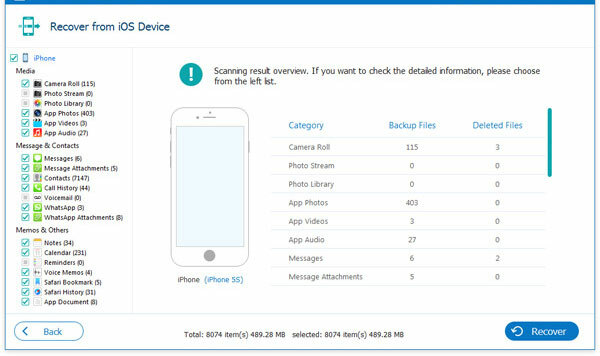 How to Recover iPhone Xs/Xs Max/XR Deleted Photos? Home> Resource> iOS Recovery> What Can I Do to Recover iPhone Xs/Xs Max/XR Deleted Photos? What Can I Do to Recover iPhone Xs/Xs Max/XR Deleted Photos? Photo is the main cause of the iPhone space shortage so many users choose to delete some duplicate or disliked pictures to free up the device. However, it is common that people accidently omit the photos that they like during the cleaning process. You must be upset if you cannot find these precious photos back. 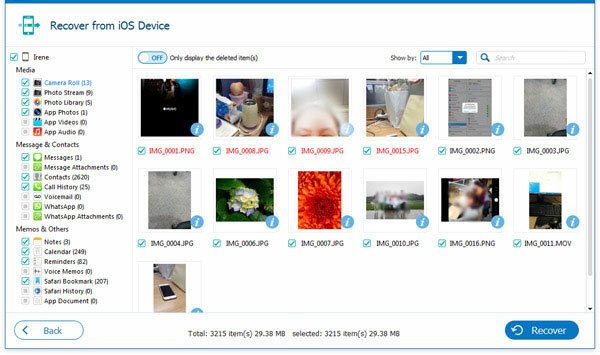 Actually, you have no need of worrying about that cause a effective way to recover your iPhone Xs/Xs Max/XR/8/7 deleted photos will be introduced here. The method recommended here is to using a third-party software- MobiKin Doctor for iOS. It is designed for iOS users who lose their data on the iDevices and desire to get them back. With it, you can recover more than 10 types of files within several clicks. As well, you can backup these files on your personal computer. If you want to retrieve your deleted data safely and easily, it could be a good helper. How Can I Backup Photos from iPhone Xs/Xs Max/XR to Computer? How to Transfer Photos to iPhone Xs, iPhone Xs Max and iPhone XR? You should download and install the program on your desktop computer at first then launch it. Then connect your device to the computer with USB cable. After connecting your iPhone to the PC successfully, you need to choose a mode- Recover from iOS Device or Recover from iTunes Backup File as you like. When your iPhone is recognized by the program, it will auto-scan all data on your iPhone and display them in categories. If your iPhone is recognized by the program, the tool will auto-scan all data on your iPhone and displays them in categories. Just click on the "Photos" folder in the left panel and the detailed information will be displayed in the right panel. Here, unregister users are not allowed to check the whole contents of the data. So if you want to preview all details, you need to register the program firstly. Tick all the photos that you want to restore, and then hit "Recover" button to save them on your computer very. How to Backup, Transfer Contacts from iPhone X to Computer? How to Transfer Data to iPhone 8/X?